God always seems to bring me back to reality when I spend too much time in "woe is me land." Don't get me wrong, the land of 'woe is me' is real and worth visiting at times but hanging out there too long leads to jealously, bitterness, and deep deep unsatisfacation. 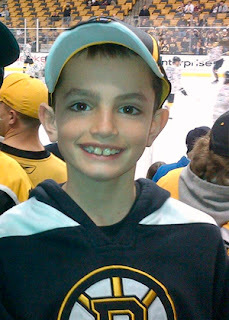 In the attack in Boston yesterday at out of the 3 deaths, one was an 8 year old child. I watched the news tonight. He had just ran to give his father a congratulatory hug who crossed the line and then walked back to his mom. Sweet, innocent, happy little boy. Killed in an unexpected instant. The news went on to day that his 6 year old little sister had her leg blown off. I hate my miscarriage. I 100% loved that life growing in me. I think of Jayden often and miss him/her and miss what could have been. I never talked to him. I never held him. I never got to tuck him into bed. Cheered for him at a soccer game. Gave him a sibling. All those fun mom things. But I still love him although he was only in me a few short weeks. I've been married 3 years and I feel like I love my husband more now then I did when I met him years ago. Quality time and life expereinces have bonded us closer, helped our love grow deeper. I'm sure motherhoods is the same. The loss of a child is sickening and painful but I think the farther a long it is, the deeper the cut. This mom who lost her little 8 year old boy? Whose daughter no longer has a leg? She has investeted 8 years and 9 months of knowing him, loving him, being with him and then all the sudden he dies a senseless death. She has reason to mourn. I cried when I saw the news and I usually don't cry. It was when I saw his face (pic above). I know that mom must be feeling the pain so much deeper than I did. It's not "fair" I lost my baby, but it's really really really not fair she did. To such a stupid/evil reason. Infertility has been beating me up lately but the bombing reminds me to count my blessings in my own suffering. Although I ofen envy fertile people, they have no guarantees themselves of keeping their child in this fallen world. People have it way worse. Period.